The Cinnamon Art Resort & Spa is like “a little home hundred story” in the midst of nature, tranquility, and relaxation. Build your own mind is not endless. From a variety of atmospheres. The history of things. Will convince you to show art. A variety of photography, drawing, or hilarious activities together, there is happiness, Have a unique experience. The 26 detached houses facing every sea each view is different. Each room offers you the option of a choice of 2 single beds for friends and a double bed for the family. House with fence private swimming pool city hall . wide terrace for couples or families who love swimming in the moonlight or those who like to read under the trees quietly walk the natural way for exercise to a restaurant. 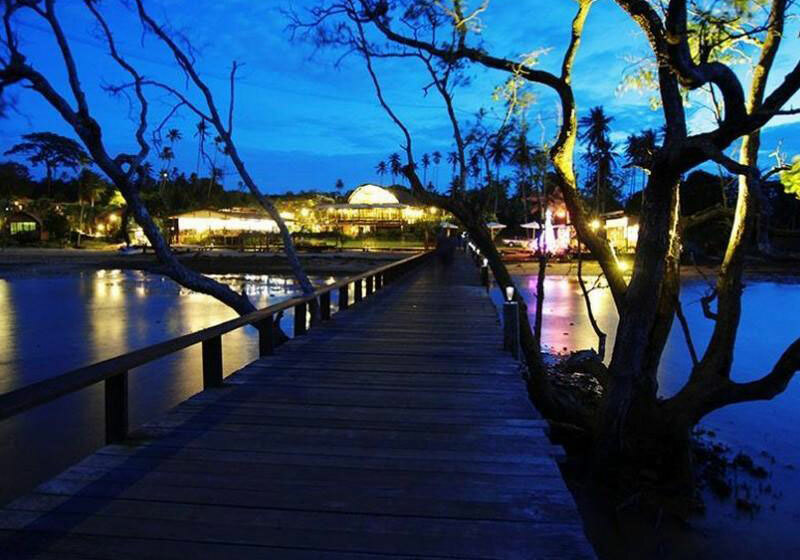 Enjoy seafood and local food in Trat with friendly services. Take you to the nearby islands, dive around the island, let’s just say we will do it for you. The painter created with love. Decorated with old wood. Reused in all forms to remain in beautiful condition in the old style, rather than the business profits. The ultimate goal is to have a comfortable visitor. Have delicious seafood and local food. There are activities like being happy and coming back like friends and relatives. Short Description: The Cinnamon Art Resort & Spa is like "a little home hundred story" in the midst of nature, tranquility, and relaxation. Build your own mind is not endless. From a variety of atmospheres. The history of things. Will convince you to show art.